Uruchi Mai is the most popular type of Japanese rice, and is a must-have at almost every Japanese meal. Unlike regular jasmine rice or other long-grain rice, Uruchi Mai has a stickier consistency, and a slightly creamy texture. 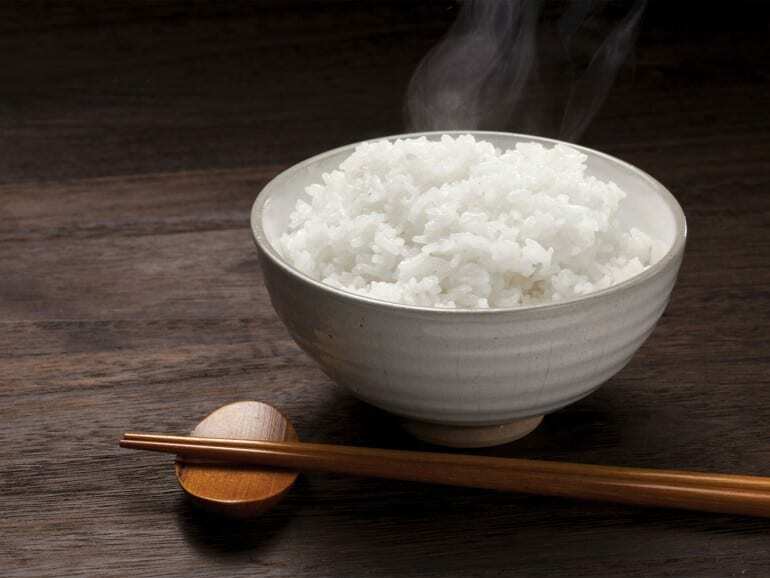 Among the many variants of Japanese short-grain rice, Koshihikari is the cream of the crop. It is especially loved for its sweet, nutty taste and slightly sticky texture, making it best suited for Sushi. The name Koshihikari means glight of Koshi.h Koshi is an old province located within Niigata prefecture, and is a stretch of land along the coast of the Sea of Japan. Hikari, which means glighth, refers to the grainfs polish and beautiful translucence. Koshihikari now accounts for almost 40 percent of Japanfs rice production. The second-most popular short-grain variety is Hitomebore, which means glove at first sighth. It was developed in the Miyagi prefecture, and is usually eaten plain or in Sushi. Apart from Gohan (cooked white rice) and Sushi, Uruchi Mai is also used to make a wide variety of rice dishes. One of the more popular dishes is Onigiri, which are rice balls wrapped in Nori seaweed, and contain fillings such as Umeboshi (pickled Japanese plum), Okaka (dried bonito shavings and konbu) or salmon. Another popular dish is Chazuke, which is a type of comfort food commonly served in Izakaya (casual drinking establishments). Chazuke is a dish where hot water, tea, or light fish stock is poured over rice, and enjoyed with toppings like Umeboshi, grilled salmon or pickles.